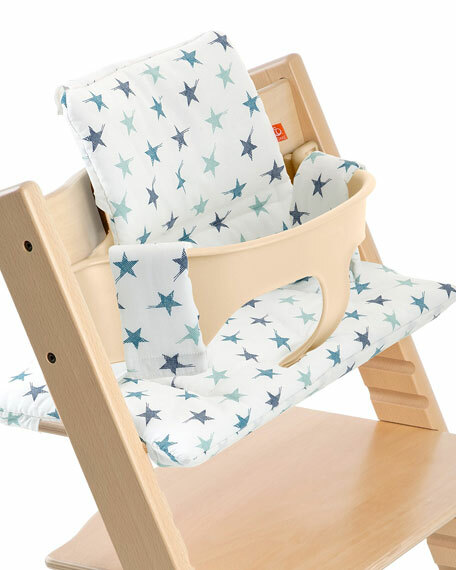 The Stokke Tripp Trapp® cushion is made specifically for the Tripp Trapp® chair (sold separately). Personalize Tripp Trapp® by adding cushions in different colors and designs. The cushion is soft and comfortable for your child. 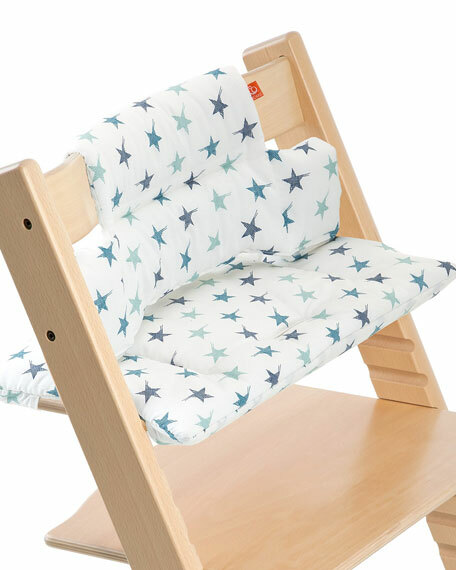 The cushion adds comfort, support, and helps extend sitting time for your child. Easy to attach to and remove from the Tripp Trapp® chair. Easy to clean and machine washable at 40° Celsius/ 104° Fahrenheit. 100% Cotton cover, 100% Polyester filling. Please note: Chair, shown, is sold separately.